"A modern village with old-fashioned values"
Location of Bradford in Stark County, Illinois. Bradford is located at 41°10′37″N 89°39′34″W﻿ / ﻿41.17694°N 89.65944°W﻿ / 41.17694; -89.65944 (41.176884, -89.659445). According to the 2010 census, Bradford has a total area of 0.4 square miles (1.04 km2), all land. As of the census of 2000, there were 787 people, 318 households, and 225 families residing in the village. The population density was 1,984.8 people per square mile (759.7/km²). There were 352 housing units at an average density of 887.8 per square mile (339.8/km²). The racial makeup of the village was 98.73% White, 0.13% Native American, 0.51% Asian, 0.51% from other races, and 0.13% from two or more races. Hispanic or Latino of any race were 1.02% of the population. There were 318 households out of which 32.4% had children under the age of 18 living with them, 57.5% were married couples living together, 9.7% had a female householder with no husband present, and 29.2% were non-families. 27.7% of all households were made up of individuals and 17.0% had someone living alone who was 65 years of age or older. The average household size was 2.47 and the average family size was 2.96. In the village, the population was spread out with 27.2% under the age of 18, 6.7% from 18 to 24, 24.9% from 25 to 44, 23.6% from 45 to 64, and 17.5% who were 65 years of age or older. The median age was 38 years. For every 100 females, there were 86.9 males. For every 100 females age 18 and over, there were 81.9 males. The median income for a household in the village was $33,750, and the median income for a family was $41,000. Males had a median income of $35,333 versus $21,324 for females. The per capita income for the village was $16,279. About 6.2% of families and 9.8% of the population were below the poverty line, including 11.4% of those under age 18 and 9.8% of those age 65 or over. From the mid-19th century there was St. John Catholic Grade School which was closed in 1968. Bradford School District now has two schools in the village, Bradford Jr. High and Bradford Grade School. Bradford High School was deactivated in 2001 and now houses the Jr. High. The high school students have their choice of attending one of three high schools: Stark County High School, Henry-Senachwine High School, or Bureau Valley High School. Boy Scout Troop 1851 is in Bradford. C. W. Whitten, educator and athletic administrator, was born near Bradford. 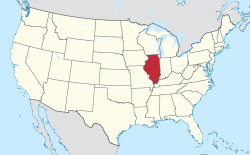 ^ "Geographic Identifiers: 2010 Demographic Profile Data (G001): Bradford village, Illinois". U.S. Census Bureau, American Factfinder. Retrieved November 14, 2013.